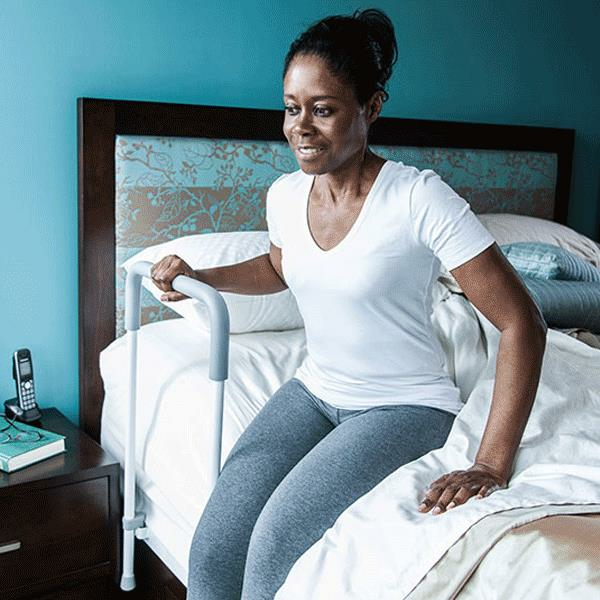 HealthCraft Smart Rail Bed Assist System makes getting out of bed easier while also providing support when sitting up or lying down. 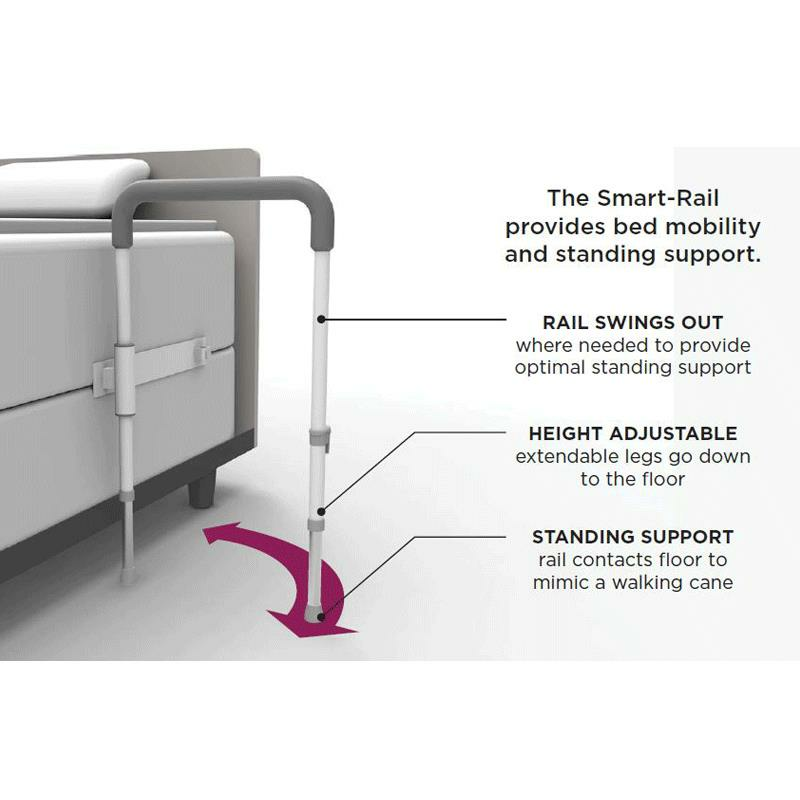 Unlike other bed assist rails, the Smart-Rail has two positions: closed and open. 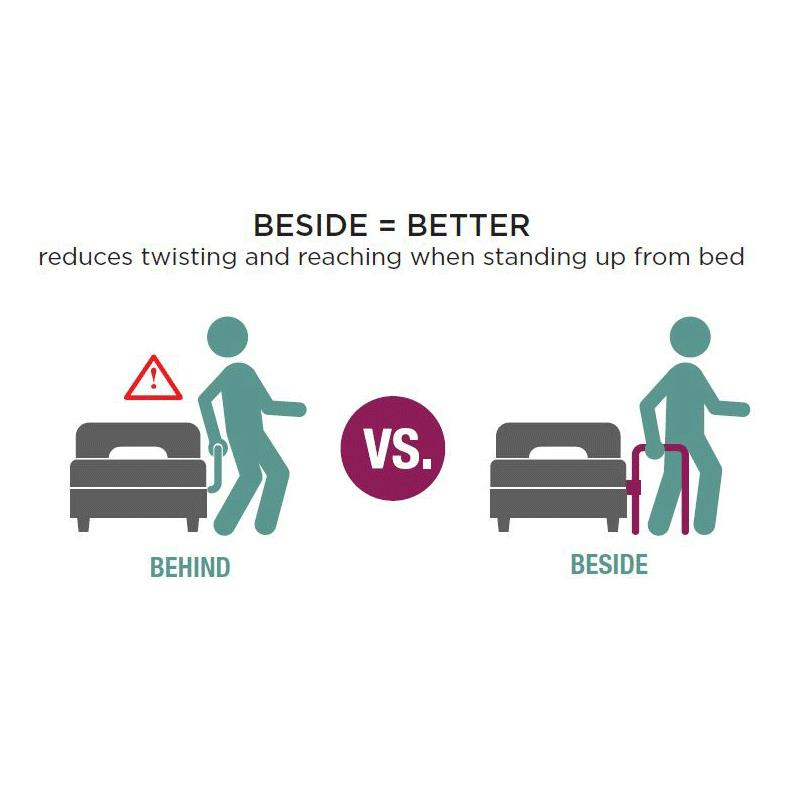 In the closed position (parallel to the side of the bed), the safety rail provides support for making adjustments while in bed. 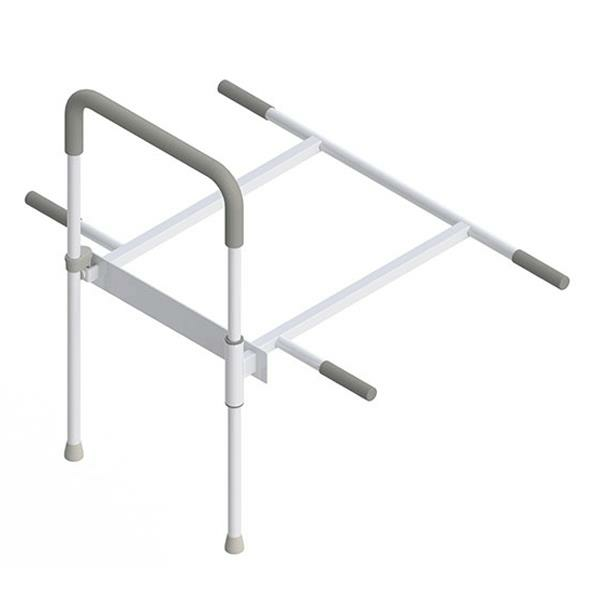 In the open position, the rail pivots out from the bed and touches down to the ground to assist in moving or transferring to a standing position. 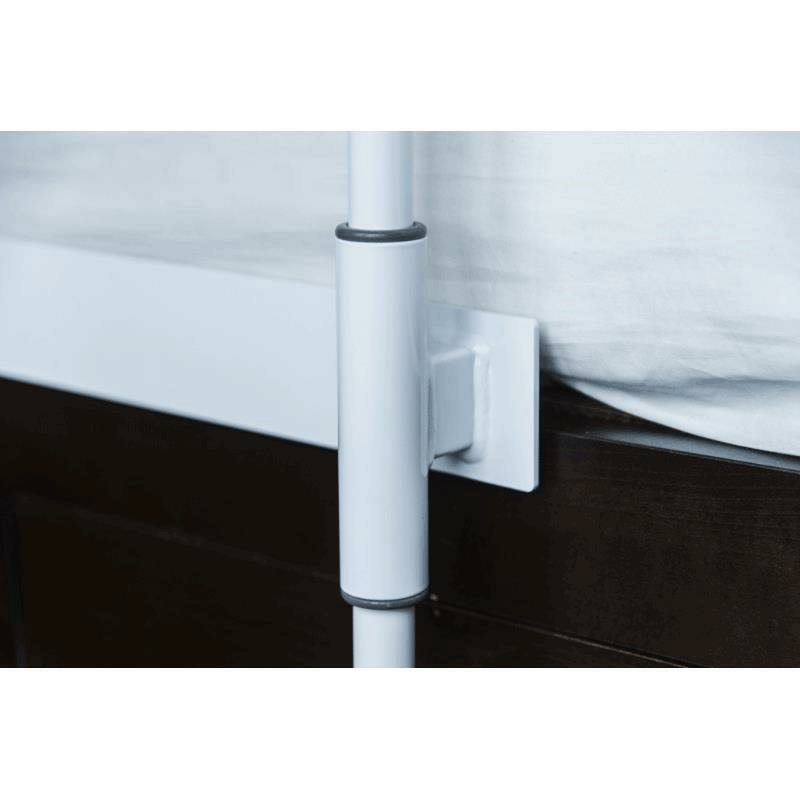 The Smart-Rail is also easily installed between mattress and box spring, and secured tightly with a safety strap.